In the early 1990s a group of rally enthusiasts started up a new car club, the Historic Rally Association. Most were competitors from the 1960s and 1970s, and the aim of the club was to re-create the types of events that were held during that time. 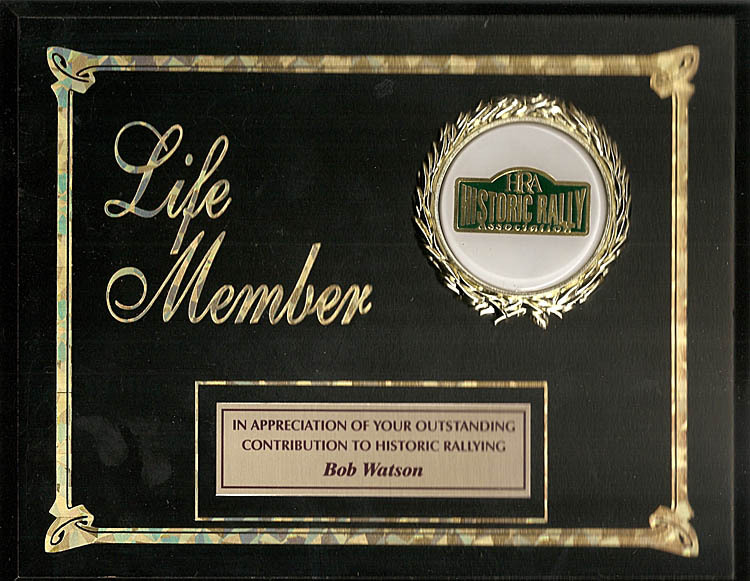 The concept struck a positive chord in the rally community and the HRA grew rapidly from its initial 50 or so members to the current count of around 600. I have enjoyed the opportunity to organize or assist in the running of several “Olde BP Rallies” for the HRA. These have been shortened versions of the BP Rally of South Eastern Australia, a major event run from 1958 to 1973 and sponsored by the BP oil company. Direction of the event is now in the hands of top navigator Ross Runnalls. The club has also been responsible for reviving the Alpine Rally, one of the world’s oldest motor sport events dating back to 1922, and Australia’s most popular event in terms of entries. The “Alpine” is now run by the HRA every alternate year, and directed by former Light Car Club of Australia Alpine director Stuart Lister. The Historic Rally Association introduced a new form of event to rallying, the Touring Road Event. These events cater for cars that are not suited to gravel roads, and generally contain a high percentage of navigation coupled with sub events to test driving skill. These events, of which the Rallye de Bordeaux was the benchmark, were very popular in the early days of the club, and allowed people to compete in older more collectable cars without risking damage.